Mac’s Discount Glass is now able to provide mobile glass services to the city of El Dorado Hills from our new mobile location. 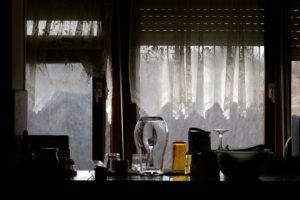 We can undertake all window replacement in the city, from the tiniest glass window up to those floor-to-ceiling sliding glass doors that provide such a dramatic view of the outside world. When you have a beautiful yard full of flowers, trees, and shrubs, there is nothing better than being able to view it all from inside the comfort of your home, even on those cold winter days, so installing new sliding glass doors will not only make your home look great from the outside, but your yard look great from the inside. We also undertake all windshield repair in El Dorado Hills. If you are just passing through El Dorado Hills and suffer a broken windshield it may not be safe to drive on any further. Our expert engineers can come out to you wherever you have broken down in El Dorado Hills and install a new windshield for you so that you can continue your journey. It does take a couple of hours to remove your old windshield, vacuum up any broken glass from inside the vehicle, and install the new replacement windshield, but it is far better to do that than leave your vehicle where it is, get a taxi home, and then have to have your vehicle collected to install a new windshield. Just call Mac’s Discount Glass and our expert engineer will come to wherever you are in El Dorado Hills and install a replacement windshield at the roadside. You will be pleased to know that at Mac’s Discount Glass we are happy to carry out auto insurance work for broken and damaged windshields. This also applies to all other auto glass repair. 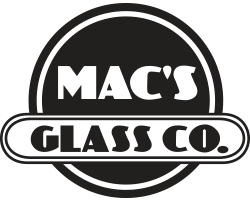 It is not always a windshield that gets broken: you may have a damaged rear window, side window, or quarter glass, but it is no problem because at Mac’s Discount Glass we can fix any or all auto windows from the smallest saloon up to the largest truck or coach. Even if your windshield is not damaged and your vehicle is safe to drive, you don’t really want to do that if you have a broken window. If the wind should suddenly change direction there could be a heavy rain shower and you will get the inside of your vehicle soaked, so don’t take any risks. Mac’s Discount Glass mobile service to El Dorado Hills will get your auto glass repaired or replaced so that you can carry on your journey in safety.